When I arrived in Vancouver a fortnight ago, the weather was pretty much the same as when I left Melbourne. I’d been traveling for a whole day and even the date and time hadn’t changed much! Surprisingly, the ocean temperatures were warmer around Bowen’s shores than at home. 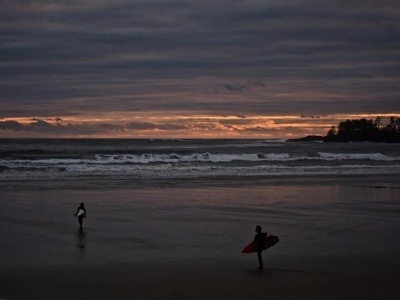 I am starting to think that winter surfing on our coast requires the same bravery and thick skin as it does in Tofino’s summer on Vancouver Island. Arriving home on Tuesday morning was a shock to the system! Melbourne was basking in sunny skies but the temperature was only 6°C! The wind chill was way below zero and it hasn’t stopped raining in the past 2 days. The season has shifted and our true, 38°S winter has arrived. I now rely on the booties and a hood to stay alive when surfing and our wood stove has been on 24-7. The winter greens are flourishing in the vege garden and the soil is cold and wet. It’s time to plant garlic and onions and the fruit trees are bare and in need of a winter prune. We are staging the annual Lantern Parade at the local school tonight – in celebration of the Winter Solstice. Mulled Wine, hot chocolates and warm food will accompany singing and storytelling. The shortest day of the year has been celebrated for centuries across many cultures. It marks a key shift in the year. 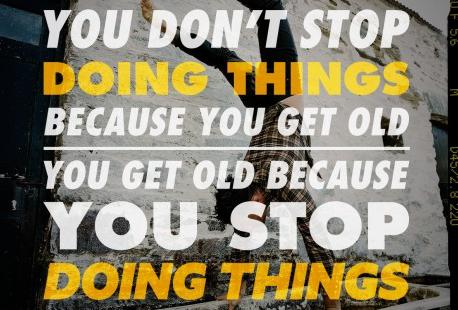 For me it has more meaning and resonance than even the New Year. My recent trip across the equator and time zones to Canada has revitalized my desire to learn and experiment even more. I learned so much from working and playing with Steven and Chris. As the days grow longer I’ll be writing and sharing more on this so stay tuned. To close … here’s a place I really want to visit – Tofino on Vancouver Island. 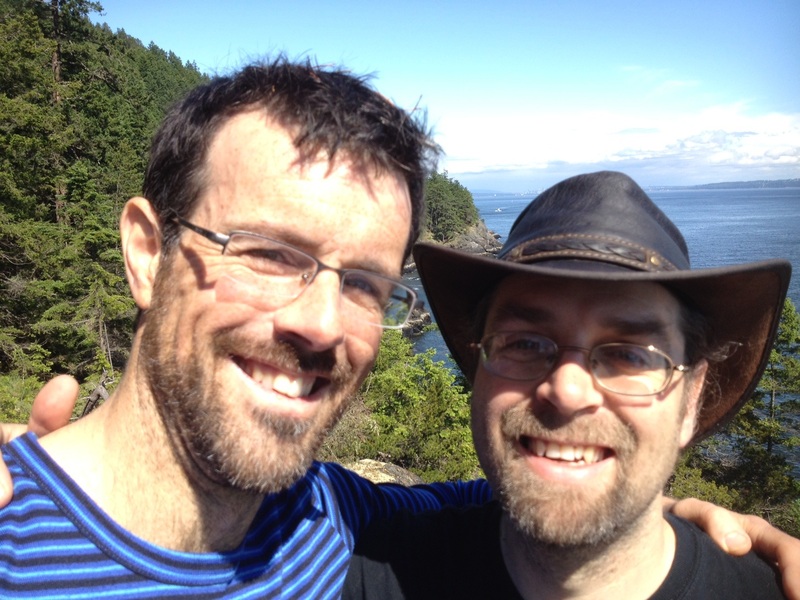 I am currently staying with friend Chris Corrigan on Bowen Island … this place is simply stunning folks! 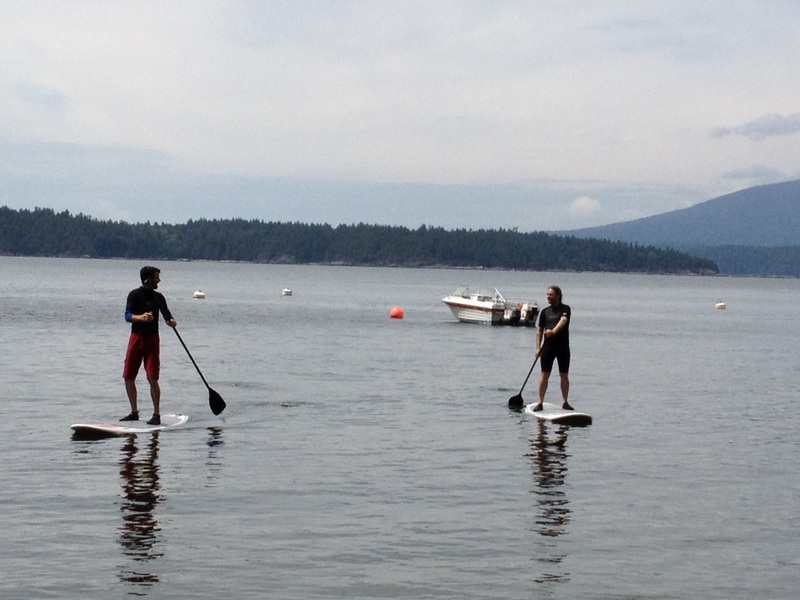 Before making the journey across the pacific, I promised Chris to take him SUP’ing (Stand Up Paddle Boarding). Today it happened. The local water craft rental business on Bowen Island (Bowen Island Sea Kayaking) have cleverly added a quiver of 9 SUPs to their stocks and we hired boards this morning. 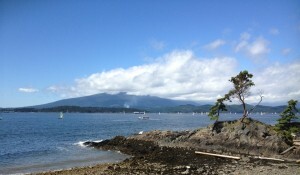 Tunstall Bay (on Bowen) was protected from the south easterlies and we took off with a light breeze at our backs. 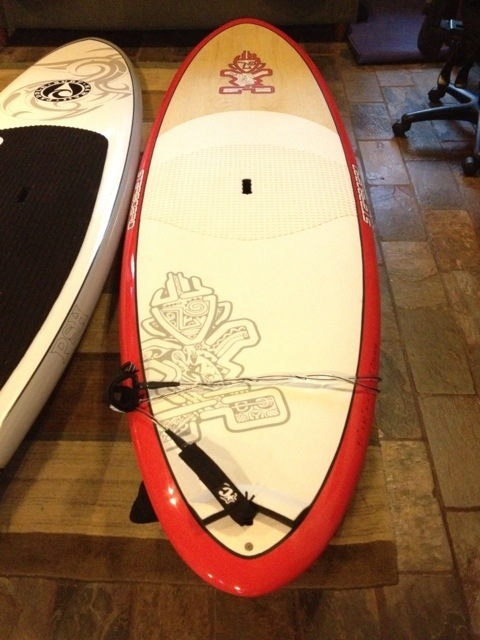 First timers, Chris and Rod, paddled 11″6 ‘ers and I was cruising on a 10″6. What a great way to view the island’s cliffs, muscle-covered rocks, Douglas-Firs and coastal homes. The backdrop of huge mountains, and jagged escarpments patched with winter snow make this place so unlike anything back home in Australia. Tomorrow, our work together starts and we will be joined by Steven Wright … Steve, we will get you in for paddle before we finish here in BC! … the middle of nowhere! 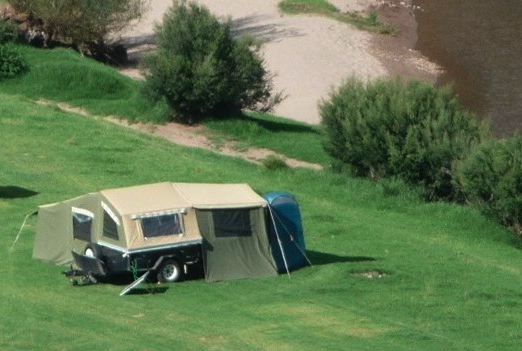 After months of watching 2nd hand camper trailers come and go, today we stumbled upon this off-road camper. These things are basically a canvas tent mounted on a 6 x 4 trailer with a few bells & whistles, but they do go almost anywhere. 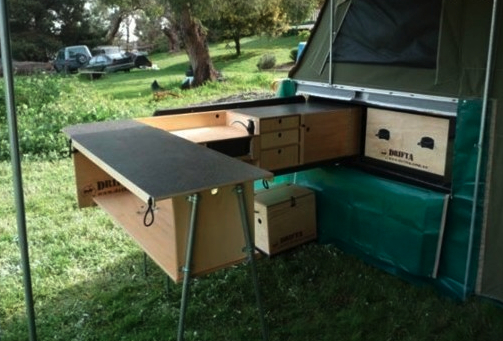 I know that many future blog posts will be written from our off-road camper home. Around Aireys Inlet, the sight of me on my SUP (StandUp Paddle Board) cruising the river or riding waves in the surf, is a common occurrence. 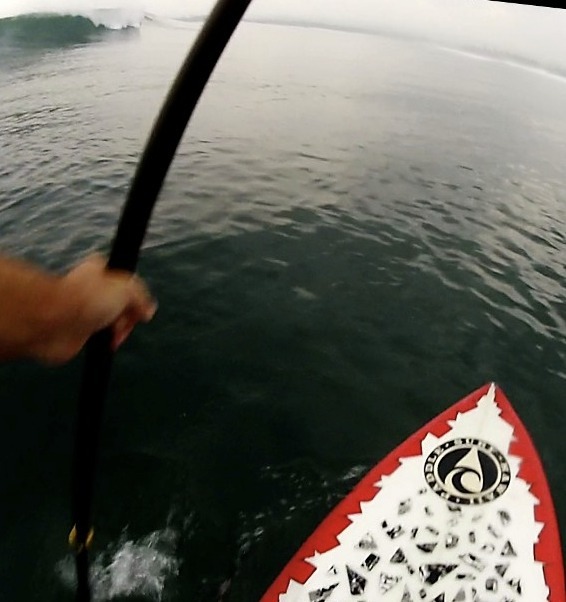 I am passionately addicted to SUP’ing. It’s a physical workout and a mindful retreat wrapped into 1 activity. 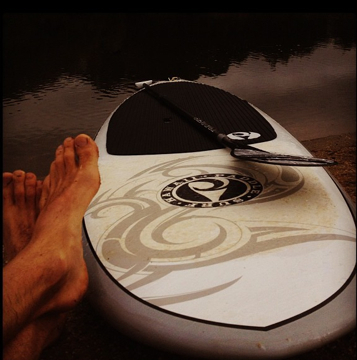 Today, the surf was terrible … so I was drawn to the river which was was calm and tranquil. Today, like every other day on the SUP, I discovered something new about my paddle technique and my position on the board. Tiny changes in my feet and head position and my visual focus have dramatic impacts on the glide and speed of my board through the water. Today, like every other day, I noticed my surroundings and soaked it up. And today, unlike every other day, I realise how fortunate I am … how grateful I am to you, my friends and family. 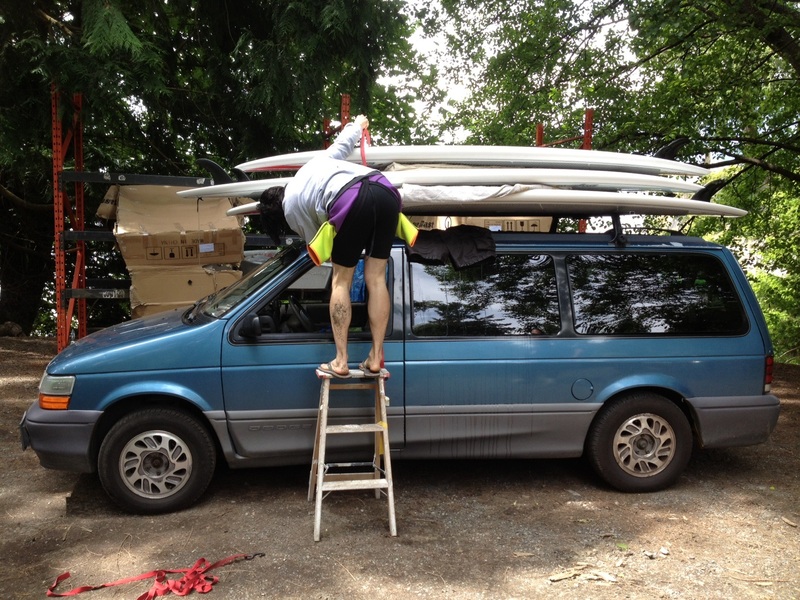 Stand Up Paddle boards (aka SUP) are growing in popularity and I am a self confessed enthusiast. 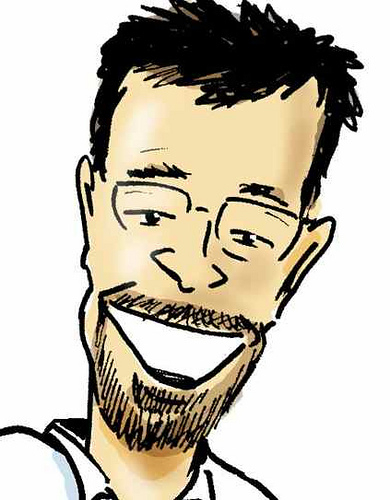 I’d love to see the growth numbers of this past time … it must be staggering. What is abundantly clear is the social nature of their spread and uptake. We got into SUP’ing because friends introduced us … actually they spruiked it like salespeople and we caught on 18 months ago. 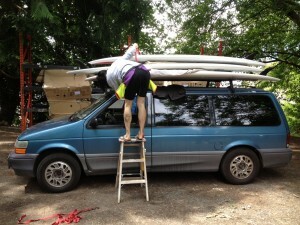 We now have 3 boards in our quiver and get out in the surf and river at the least 3 times a week. I have noticed how much people are talking about SUPs and SUPper’s. Those who don’t surf are intrigued and wonder if it’s is easier or harder than traditional surfing. They ask loads of questions at the surf breaks. 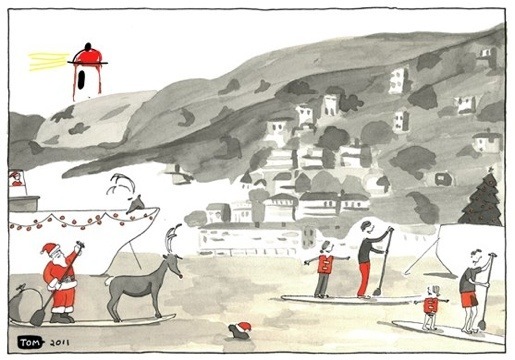 Surfers are a mixed bag but most look down their noses at anyone on a Stand Up Paddle board. Some see it as a danger – as many SUPper’s have no idea how to control their big, heavy boards. 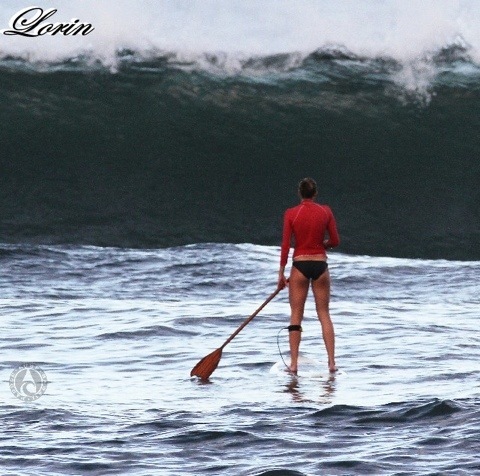 Some surfers fear that too many SUPs on the waves will just add to the crowds – I share this concern because I do both. The SUP Board has become a remarkable Social Object – it is the object of people’s attention and get’s ‘remarked’ on everywhere I go. The practice of paddling these versatile craft is also highly visible – When you look down the coast, SUPPer’s stand out above everyone else. A group of SUP’pers on the same break identify with each other and tend to talk and share waves – we have formed a tribe who share a single passion. Quite apart from the pure enjoyment and relaxation that comes from paddling these craft, the physical benefits are quickly apparent. When you use the right technique, paddling in the standup position is an amazing core workout. It builds muscle quickly and, in the surf, is a cardiovascular workout like nothing else. Older surfers with neck and lower back issues caused by years of prone extension (lying on a surfboard), can surf ‘standup’ pain-free! (I emphasize the ‘standup’ bit too … you can surf these things in BIG waves, small waves, beach breaks and long, slow rollers). You can take SUP’s out in any water and any weather – except for high winds when your body becomes a sail. Rivers, lakes, estuaries, bays, surf and even rapids! It doesn’t matter how cold the water is either … because you are completely dry most of the time. Booties are mandatory when paddling in Iceland though! So what’s the reason for the rapid spread of the SUP across many parts of the world? There are many and I’ve touched on just a few above. For me though, the social nature of the spread through stories, rumors and conversations between friends, family and strangers is the biggest attractor. The identification that comes with doing something that others (including the world’s greatest surfers) are doing is also a big one – many would argue this point but I tend to agree with Mark Earls’ Herd theory and the premise of his latest book “I’ll have what she’s having!”. I am the proud owner of a set of cards that will go with me everywhere … I have already used them (today) and can think of at least 3 more group gatherings where they may be useful. 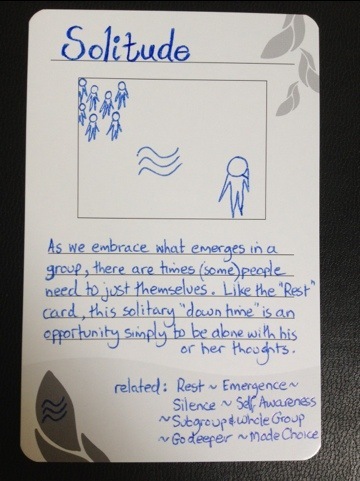 The cards are called Group Works – A Pattern Language for Bringing Life to Meetings & Other Gatherings. – the Group Pattern Langauge Project even have a Facebook Page here. Friends and colleagues Chris Corrigan and Dave Pollard have written about the cards at their respective blogs here (Chris) and here (Dave) – read these post to a feel for what they are and how these Pattern Cards might be used. – does this describe a feature that shows up over and over again in group processes that fulfill the purpose for which they were called? – does it happen across many different methods? – can it take a variety of forms? – does it show up at more than one scale? – does it describe an action that can be consciously undertaken by conveyors and/or participants? – does my gut respond to this with a sense of recognition? Solitude is something I need when diving deep into group conversations. 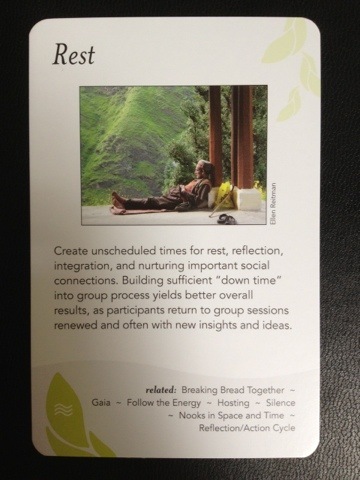 One of the reasons I love Open Space so much is the permission to walk away and have time alone … over a coffee, a short walk or even a retreat to the hotel room for a quick nap (I have had numerous participants do this during the course of 2 and 3 day Open Space gatherings!). Being alone with your own thoughts can be a scary place and some people avoid it. Being mindful of creating space for this down time, rest and solitude is important for me. Physically, a shared goal with my wife is to surf and paddle the SUP as much as we can this year. Stand Up Paddle boarding, with ageing bods like ours, seems to build amazing core strength and work the cardiovascular system at the same time. Lately I’ve noticed how clearly I see things after being in/on the water. 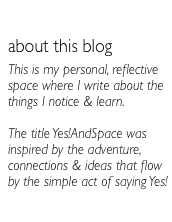 So, after a paddle in the surf or on the river I’m making a public commitment (and a new blog category) to write about anything that comes to mind. This post was inspired by a close encounter I had with a 6 foot Bronze Whaler – a shark of the limb removal genre! 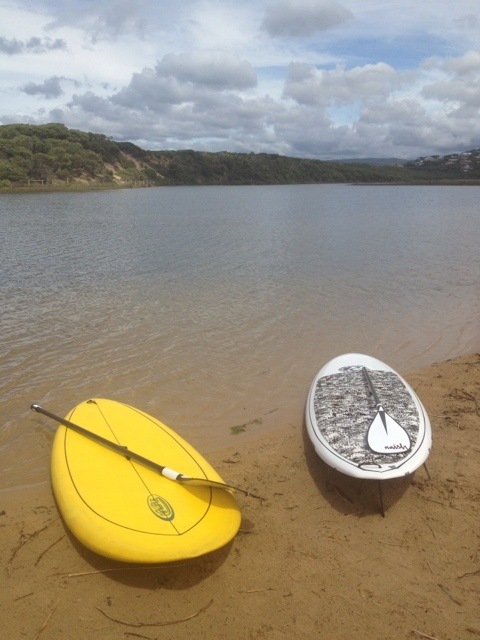 My wife and I went out for a surf on the SUP (Stand Up Paddle Board) at [insert secret location] in Anglesea Victoria. I have been in the water my whole life and never seen one … until today. As you would expect, we both headed back to shore. But not before taking in the breath taking majesty of the this creature. It was only a couple of glimpses (the dorsal fin 1 second … and then it’s entire length under my board the next), but the speed and presence of this shark was quite awe inspiring.